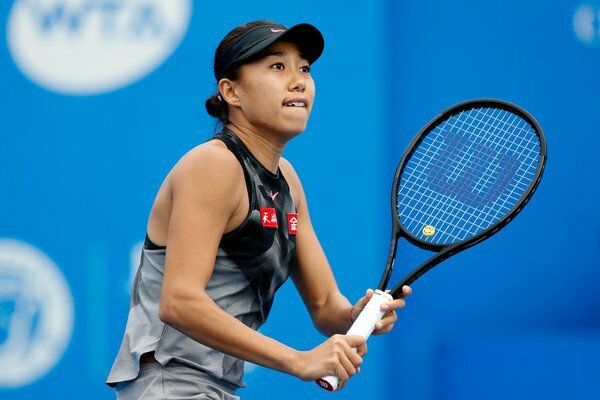 WTA Thailand Open, Hua Hin: Kumkhum v Zhang | Tradeshark Betfair Tennis Trading Blog!Tradeshark Betfair Tennis Trading Blog! They have met twice before. the last time was in an ITF tournament in Tokyo in November 2016. Zhang won that quarter final match on a hard court in 2 sets. Kumkhum’s win was also on a hard court in Dalian, China in September 2015. She also won on straight sets. Kumkhum had better results in the last 12 months. On hard courts she leads with 70% of matches won compared to 52% for Zhang. She has lost both her 2019 matches although they were against Barty at the Australian open and Vera Zvonareva in Shenzhen. Zhang reached the 3rd round at the Australian Open. She beat Cibulkova in 3 sets and Krystyna Pliskova in 2 before losing out to Svitolina. We have a good chance of 3 sets. The crowd will try to help local player Kumkhum. Back Zhang if she gets broken or loses the opening set. Update: Kumkhum broke for a 2-1 lead. Zhang’s price hit evens. Kumkhum won just 1 more game in the match. This entry was posted in Daily match picks and tagged betfair tennis trading, kumkhum v zhang, prediction, strategies, strategy, tennis tips, tradeshark by .Bookmark the permalink.